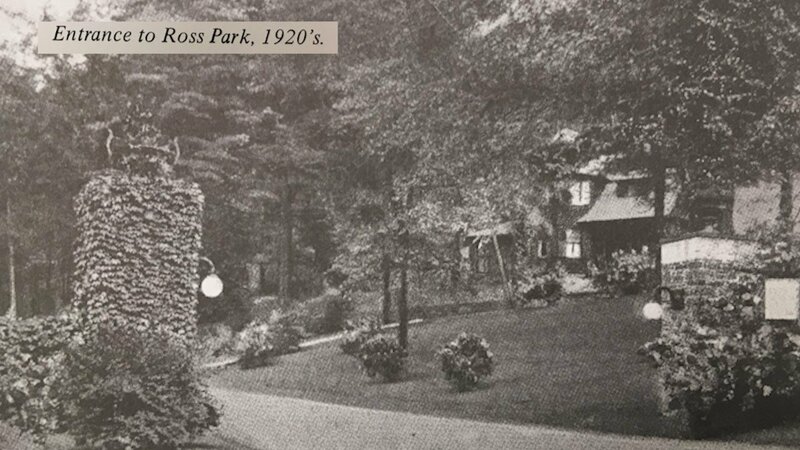 The former entrance of Ross Park with its stone pillars on Park Avenue once greeted visitors arriving by carriage and street car. Now, that entrance, since replaced by the one currently in use on Morgan Road, could be seeing new life. A group of Cornell University students in the Cornell Design Connect program are working with the City of Binghamton to develop a plan for adaptive re-use of the Park Ave entrance. That plan would preserve the history of that section of the park, but updating it for use for park visitors and city residents. "Repairing and restoring the historic pillars that are there, coming up with landscaping ideas," says Sean McGee, the city's Historic Preservation Planner. In the 1800s and early 1900s, Ross Park visitors arrived at the South Entrance by carriage and street car. "Ross Park is really fascinating and there's so many different things going on here," says Carolyn Gimbal, Project Manager for this chapter of Cornell Design Connect. The first step for Gimbal and her team is conducting a demographic and neighborhood study to get a better feel of what the area needs and wants. Then, a series of public meetings will be held to get community input on the project. "I think looking at the re-use of this historic gate is really fascinating and I'm excited to see what the team comes up with," says Gimbal. The project is still in its early stages, so there are no definite answers as to what the budget would be, if there is one, for the project or what the final result will look like. McGee and Gimbal say for now the main focus is just coming up with a plan of how the gate can be preserved and used in the future.